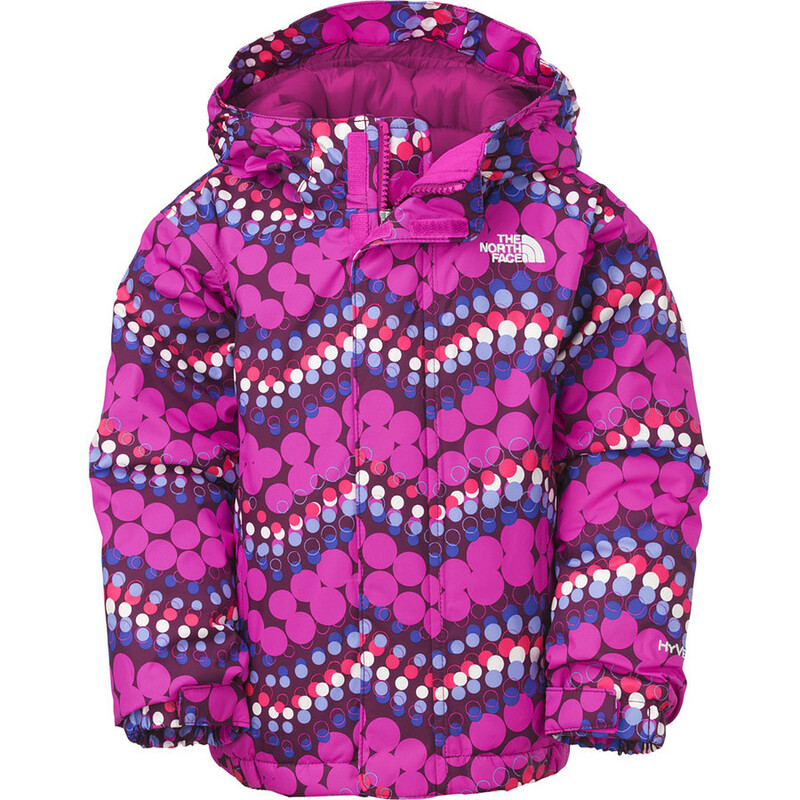 She'll be ready to rip from the first chair until the last run in The North Face Girls' Violet Insulated Jacket. 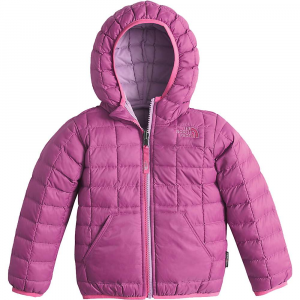 The Violet's HyVent 2L fabric and fully taped seams block wetness from winter storms, and 200g Heatseeker insulation will keep her nice and toasty through the coldest days. 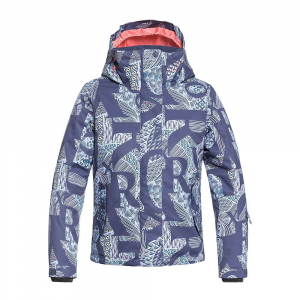 A snowsport-specific design allows for a superior range of motion while skiing or snowboarding, and a fixed hood shields her from the elements when the snow is coming down hard. Features like a secured internal media pocket, goggle cloth, adjustable hem drawcord, and adjustable cuff tabs add on-slope convenience. 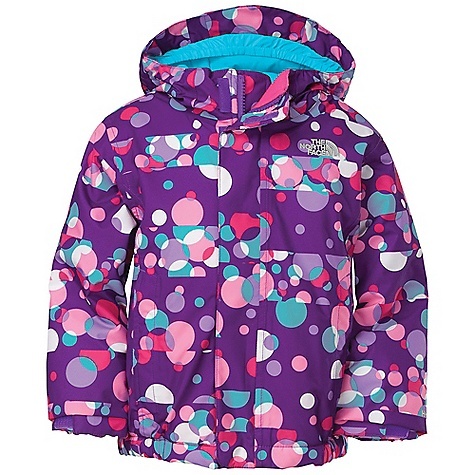 She'll have fun slaying the slopes on the coldest days of the season with The North Face Violet, an extremely warm, insulated ski/snowboard jacket that features a waterproof exterior and snowsport-specific design. On Sale. Free Shipping. 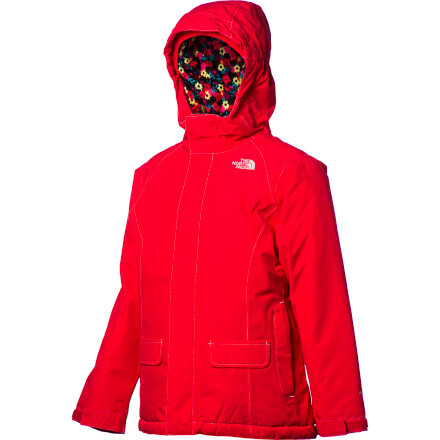 The North Face Girls' Insulated Violet Jacket FEATURES of The North Face Girls' Insulated Violet Jacket Fixed hood Internal Velcro media pocket Goggles cloth Adjustable drawcord system at hem Zip hand pockets Glove clip Adjustable cuff tabs System map/ID label SPECIFICATIONS of The North Face Girls' Insulated Violet Jacket Average Weight: 22.4 oz / 635 g Center Back Length: 23.5in. 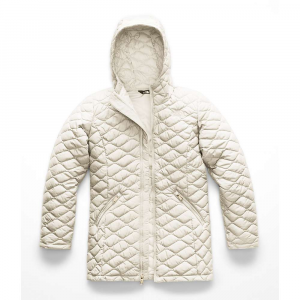 Shell: 75D 110 g/m2 HyVent 2L-100% Polyester Insulation: 200 g Heatseeker This product can only be shipped within the United States. Please don't hate us. 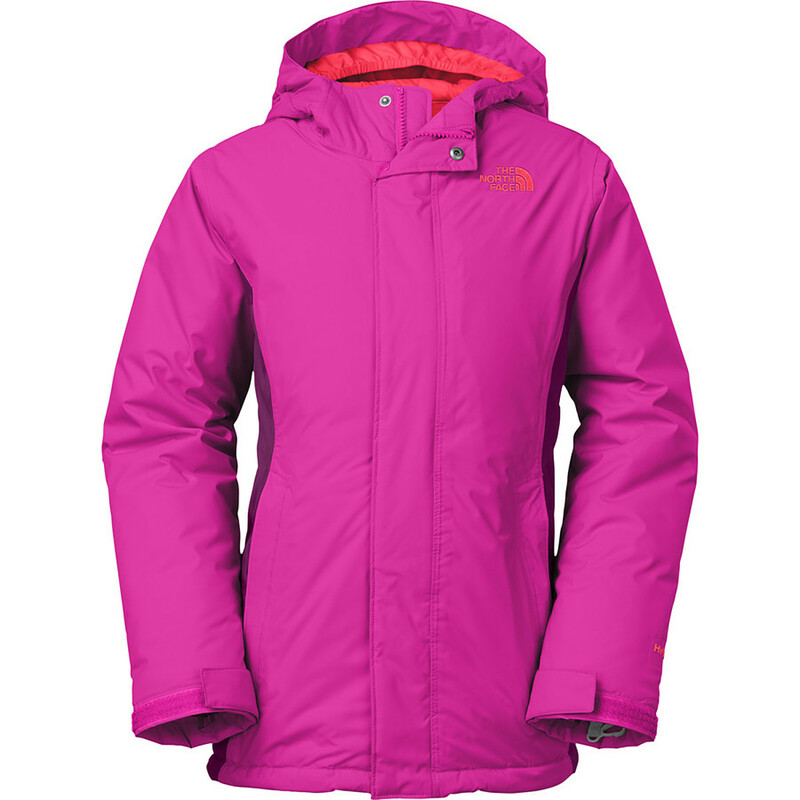 The North Face Insulated Violet Jacket is not available from the stores we monitor. It was last seen January 9, 2018	at Backcountry.com.